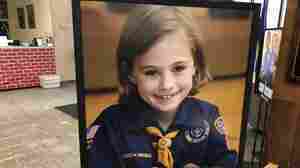 February 1, 2019  Younger girls have been able to join Cub Scouts for nearly a year, and more than 77,000 joined. Now, older girls 11-17 have a path to earn the organization's highest rank. April 29, 2017  Sixteen-year-old Sydney Ireland has been an unofficial Boy Scout for more than a decade. Now she's petitioning the organization for the right to earn merit badges along with her male troop mates.